Have your work done by a local, talented and friendly team. Send Glacier Joinery a message. Your message has be sent! It is a pleasure to write this testimonial for Murray & Sarah-Jane, owners & proprietors of Glacier Joinery/Ezy Kitchens in Hokitika. We have asked Murray and Sarah-Jane to undertake other work for us previously, so when the time came to build our new home we didn’t hesitate to contact Glacier Joinery/Ezy Kitchens asking for their help in providing all the services and production requested for our new protect. We commissioned them to design, plan, cost, manufacture, supply and install our preferred kitchen, ensuite bathrooms and laundry cabinetry and all fittings for our new-build at Awatuna. As we already had a long-standing relationship with a kitchen designer who has provided expertise many times for us in previous builds and has 35+ years’ experience as a designer and manufacturer of kitchens herself, she met with Murray and Sarah-Jane to share her concepts and expertise with them. Some of the features and requirements of the project were new to Glacier Joinery/Ezy Kitchens. However, being the consummate professionals across all the joinery fields in today’s world that they are, Murray & Sarah-Jane showed their professionalism and incorporated all our needs and requests into the project. 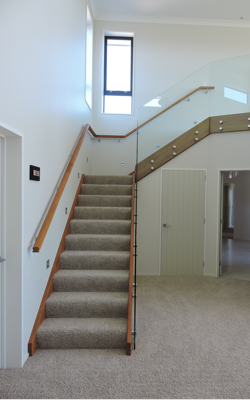 The resulting completion, installation and follow-up care we received from Murray and Sarah-Jane enabled us to be able to enjoy a beautiful, functional, efficient and well-made suit of joinery in our new home. 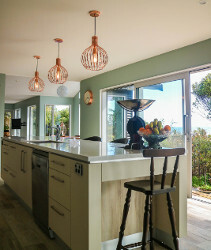 We would thoroughly recommend Glacier Joinery/Ezy Kitchens, owned and hosted by Murray & Sarah-Jane, to all who may be looking for quality and precision workmanship in a domestic building situation. ..being the consummate professionals across all the joinery fields in today’s world that they are, Murray & Sarah-Jane showed their professionalism and incorporated all our needs and requests into the project.